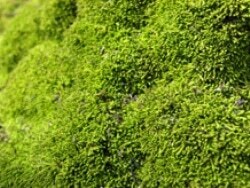 Earth’s early plant biosphere consisted of simple bryophytes, such as moss, which are non-vascular – meaning they do not have vein-like systems to conduct water and minerals around the plant. Using computer simulations, the researchers first estimated that these plants could have generated roughly 30% of today’s global terrestrial net primary productivity by about 445 million years ago. Article #16-04787: “Earliest land plants created modern levels of atmospheric oxygen” by Timothy M. Lenton et al. The research was funded by the Leverhulme Trust, the Natural Environment Research Council, a Royal Society Wolfson Merit Award, and the VILLUM Foundation. It involved collaboration from the University of Leeds, University of Copenhagen, the Georgia Institute of Technology, Ohio State University and Stockholm University.